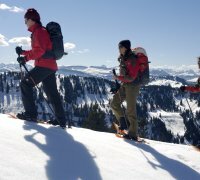 Glide across the glistening snow in Allgäu. In Oberstaufen and in close vicinity are various cross-country tracks and winter walkways. For newcomers to this sport or for the more experienced are an abundance of possibilities just waiting to be discovered. The pristine fresh air and the crunchy white snow invite you to exercise in the outdoors. The snowy Allgäu region is really quite magical. The glittering snow crystals are something the cross-country skiers on holiday here will never forget. The fresh clean air, the white powdery snow under your feet, surrounded by a breathtaking landscape and sunny blue skies are reasons why people spend their winter holidays here. 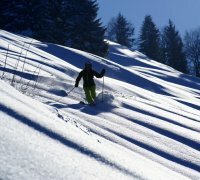 For the cross-country skiers are over 12 well prepared tracks to try out, in and around Oberstaufen. The alpine school of Wolfgang Schmid offers guided biking and hiking tours in the beutiful nature of Oberstaufen. Lassen Sie sich bei erlebnisreichen und modernen Kursen begeistern. Genießen Sie auch die glitzernde Winterlandschaft bei unseren Vollmond- oder Querfeldein-Touren! 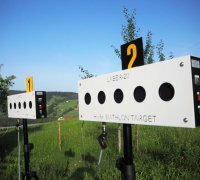 Die Langlaufschule Oberstaufen unterrichtet alle Stilarten des modernen Langlaufens, wie Nordic Cruising, klassischer Langlauf und Skating. Auch ein Schnupperkurs ist möglich. 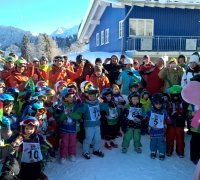 The ski school "Kehlhoffner" is located in Thalkirchdorf, where you can find the ski resort "Hündle & Thalkirchdorf". It is possible to rent ski and sports equipment. The Bergwelt Ski – and Snowboard School offers a varied programme for all ages, in the ski areas of Imberg, Hündle and Sinswang. Christl Cranz, which is one the famous skier of Oberstaufen, has founded one of the oldest ski schools in Steibis. They offer various courses for kids and adults.